The smart alternative to manual chassis washing, the Under Chassis Wash system, for general or pre mot cleaning it is the 100% safe, efficient and cost effective solution. With unmatched uniform cleaning performance achieved from our combination of high pressure, low water usage and oscillating sweeping jet design, the Chassijet is proven to provide consistent, reliable cleaning results for all road and rail vehicles. 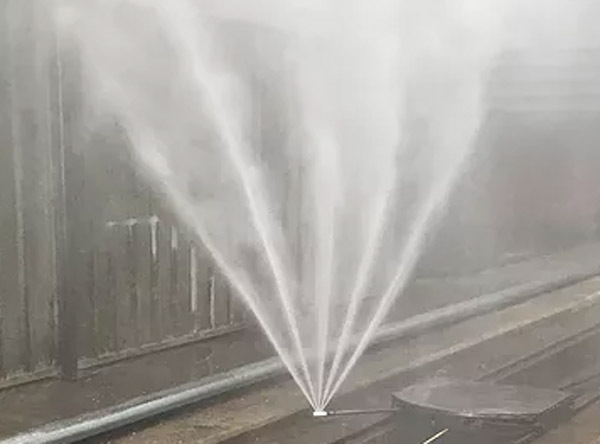 Our fully CE complaint design and user programmable multi-step capability, allows for precise, targetable high pressure water to reach all the hard to clean places where dirt likes to build up whilst avoiding sensitive areas where required. With a full range of optional enhancements, including water recycling, oil and gas fired hot water modules plus many more, the under chassis wash system can be tailored to suit your specific requirements. Modular construction makes various installation options possible without the need for extensive builder’s work. We can build the system to fit the site, as well as advise on the best site to suit the system. With the unique oscillating wash jet design MOT standard washes are possible within 30 minutes using minimal power, water and chemical. Improve your wash quality and reduce time by installing a hot water module. The capital costs of an average installation can be recovered within 18 months, and by using the spare capacity of the machine an additional revenue stream can be created. 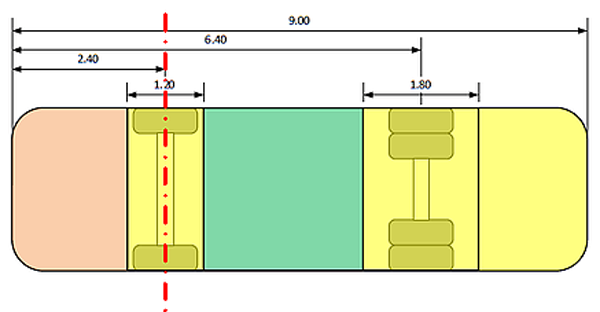 With simple design and regular, high quality after sales service maintenance costs can be kept to a minimum. High quality, low volume pumps utilised together with high efficiency motors make the Chassijet extremely efficient in its standard specification. The addition of a water recycle unit will reduce water usage further. Regular cleaning prevents road dirt build up, reduces service time and allows faults to be detected earlier thus possibly avoiding costly breakdowns. The operator merely locates the vehicle on the wash pad, selects the programme number required and pushes the start key. The programs are simply written and edited via the key pad, no specialist knowledge required. 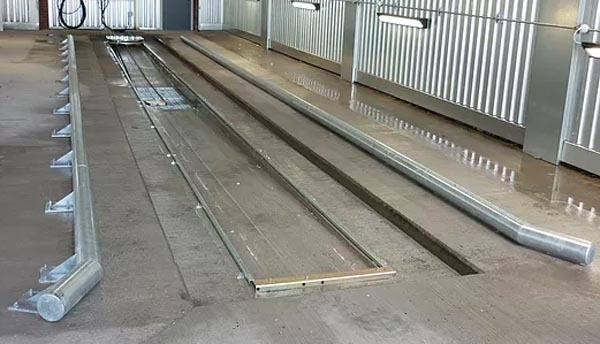 Customers wash programs are stored in the controller’s memory to satisfy varying vehicle lengths and wash times with multi-step capability to concentrate on heavily soiled areas. The Chassijet can be installed directly on to concrete floor between plinths for low floor vehicles or over an existing inspection pit. Fully insulated, complete with lighting and heating to house all major modules. Our heavy duty chemicals are blended for optimum cleaning performance. These can be customer and area specific.